My two sons circled the garden, sampling a leaf of lettuce here, a bit of spinach there. They plucked every pea from the vines, eating them on the spot. Savoring produce picked straight from the earth is a truly satisfying moment for a gardener, one that evokes childhood memories for me. So it made me smile to watch my grown sons appreciate and admire the results of our labor. It’s June 1st, and we’ve been eating salads from the garden for a week. 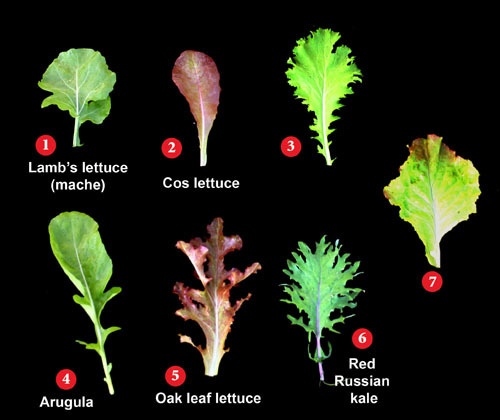 I’m especially fond of the Mesclun Mix, which provides some spice against the Black Seeded Simpson lettuce. The mesclun seems to have a little bit of everything: arugula, chervil, endive, mache, radicchio and watercress.This is the first year we have successfully grown spinach from seed, having lost out to pests in the past, so I am happy for every bite. The cool, wet May weather brought the greens into full bloom. Now comes the heat wave – this is the fourth day of temps over 90 degrees. The rest of the garden is luxuriating in the sunshine, but I know the days of our fresh lettuce salads are nearing an end. My garden is still just seeds promising to come to something. I am thankful for the rain, but a little sunshine will the appreciated soon.